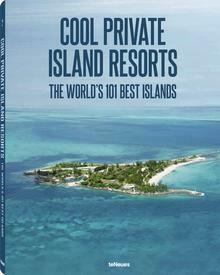 The trend for ocean carriers snapping up private islands continues with the Norwegian Cruise Line (NCL) snapping up Harvest Caye in Belize, a slice of paradise spread across two islands in the Stann Creek and Toledo region to the south of the tiny Central American country. Famed for its diverse landscapes and breathtaking beaches, Belize has long since been a popular port of call on Caribbean and Latin American cruises, millions of guests passing through the harbor at Belize City year after year. A second port has been in the pipeline for some time now, with infrastructure at the Belizean capital struggling to cope with increasing demand. This additional port had initially been touted for nearby Crawl Caye, but instead, the 75 acre Harvest Caye looks set to become the regions first private port. 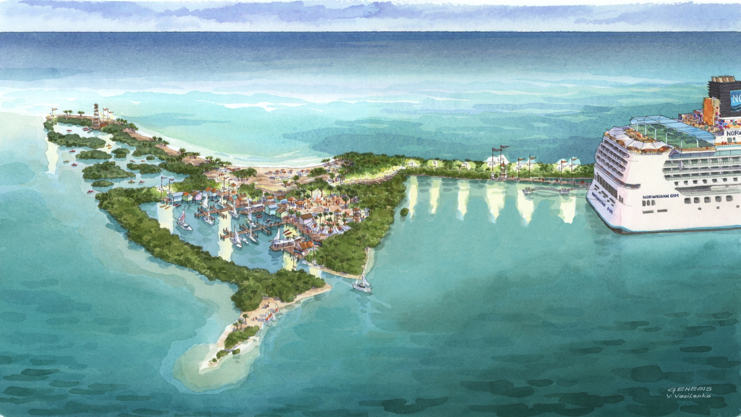 A docking and tendering facility and mainland connection point are also expected to feature within the development, with further options for an island village, beach area, floating pier and lagoon for water sports still under discussion. 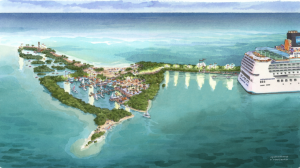 Harvest Caye will form the second private island within the Norwegian Cruise Line portfolio, alongside Great Stirrup Island, a Caribbean getaway within the Bahamas’ Berry Chain. For more information about the private islands of the great ocean liners, click here.